After having such a fun time watching The Mask I thought it was worth revisiting another Jim Carrey Classic movie series with Ace Ventura. Apparently after making the sequel Jim Carrey decided not to make more sequels of his characters but it did get a third movie straight to video where his son solves a crime. There was also a cartoon that lasted for a few seasons which we’ll take a look one day. 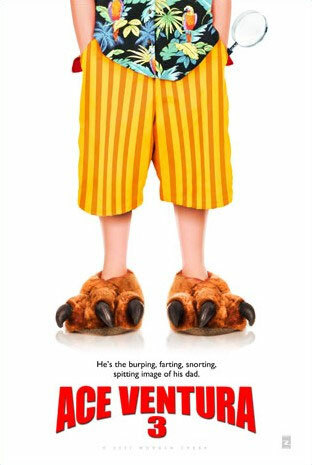 The mix of adult humor but mostly kid appeal at least now for the movies is a weird mix and I don’t know if it works for me too much. 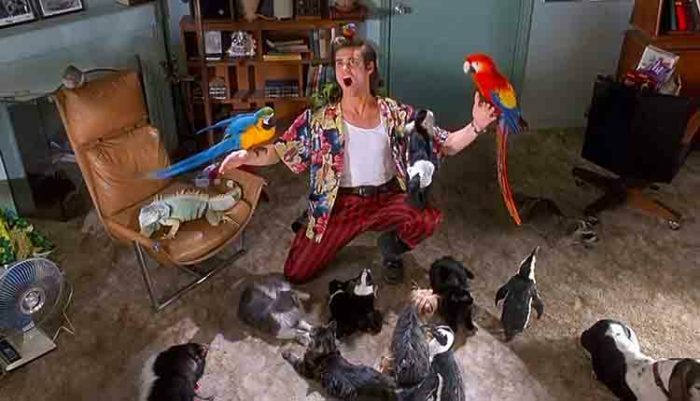 Pure 90s Jim Carrey being the epitome of what his humor was like and very 90s fashion.. It’s a little hard to say the movie is as fresh as The Mask was but the mystery is interesting enough as the gimmick of being a pet detective and all his animal friends. This movie definitely feels like a time capsule from a different time and with the context of the time it was rather innovative. Melissa who is the love interest doesn’t appear int he sequel though he does appear as the mother int he third film. The sequel is more of the same being both better in some aspects since it refines various aspects of the original movie and you’re now a little more used to who Ace Ventura is. 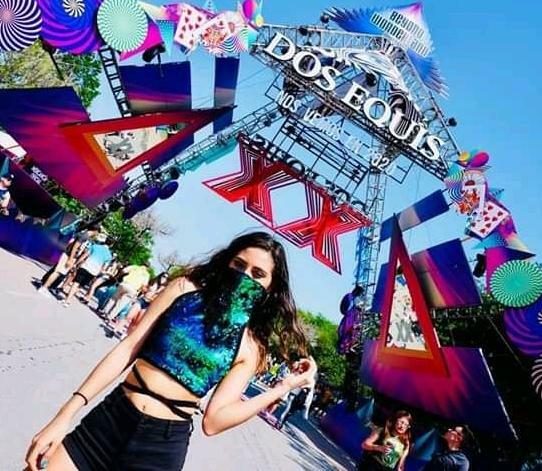 On the other hand the mystery and plot of the movie is not as interesting and even though it has some bigger scenes and more ambitious in some parts it overall doesn’t match the original. Not the strongest ending for the movie series but we did get a sequel that follows the storyline fairly decently. Ace Ventura 3 as it was also called is about his son just Ace Ventura Jr. and we learn that his father got lost in the Bermuda Triangle which is doesn’t sound too strange. and we meet Grandpa Ventura and see that the animal gene is part of the Ventura family. The actual mystery is basic but gets the job done, it’s a well made for TV adventure by taking the formula and just getting rid of the adult humor. Josh Flitter is a decent Ventura even if different from Jim Carrey. Overall none of these movies are amazing, the 90s movies had the benefit of it being something fresh but I can’t say it’s really great anymore since it’s a product of its time. 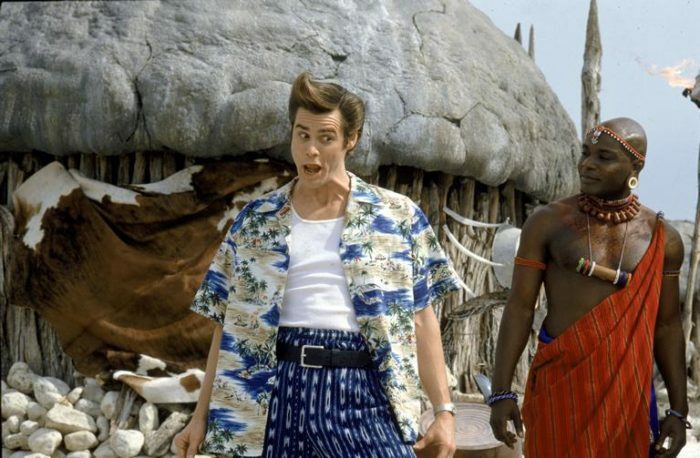 I don’t know if I’d want more Ace Ventura but I think a reboot will eventually be made and could even work.If you enjoyed the article or have any thoughts let me know by commenting below or by tweeting at me. You can also share the article or hit me up an email with your thoughts, it’s nice to hear from other fans.